Detecting a single DNA sequence demands high sensitivity. DNA amplification is used to generate thousands of DNA copies so that it can be easily detected and identified. To do so, scientists often employ a technique called polymerase chain reaction (PCR). This method requires specific equipment, including a heat source, because of the alternate cycles of high and low temperatures needed to perform it. Recombinase polymerase amplification (RPA) is a different procedure that has received much attention in recent years due to its versatility and isothermal performance. However, the technique offers better sensitivity between 37 degrees C and 40 degrees C, thus still needing a heat source. Researchers from the Catalan Institute of Nanoscience and Nanotechnology (ICN2) have published a paper in Analytical Chemistry describing a new RPA amplification/detection approach at room temperature. Ph.D. student Mohga Khater is the first author of this research, which was carried out by the Nanobioelectronics and Biosensors Group, led by ICREA Prof Arben Merkoçi, with the participation of Dr. Alfredo de la Escosura-Muñiz. The research resulted from a collaboration with Dr. Laura Altet, from the company Vetgenomics. Their approach takes advantage of the high sensitivity achieved when modifying the sensing surface with gold nanoparticles. 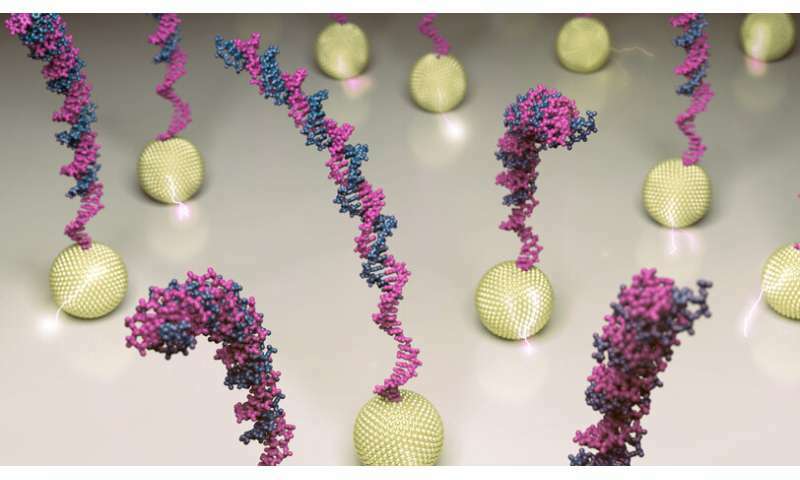 Impedance is employed to measure the electrical resistance of amplified DNA on top of the nanoparticles. In consequence, the loss of sensitivity caused by lower temperature is overcome. Moreover, the new in situ RPA sensor shows great advantages in terms of simplicity, sensitivity and portability while allowing quantitative analysis of nucleic acid. The device integrates amplification and detection technologies needed for in-field diagnostic applications such as early detection of plant pathogens. It is also of high potential interest for bioassays relevant to human or veterinarian diagnostics.